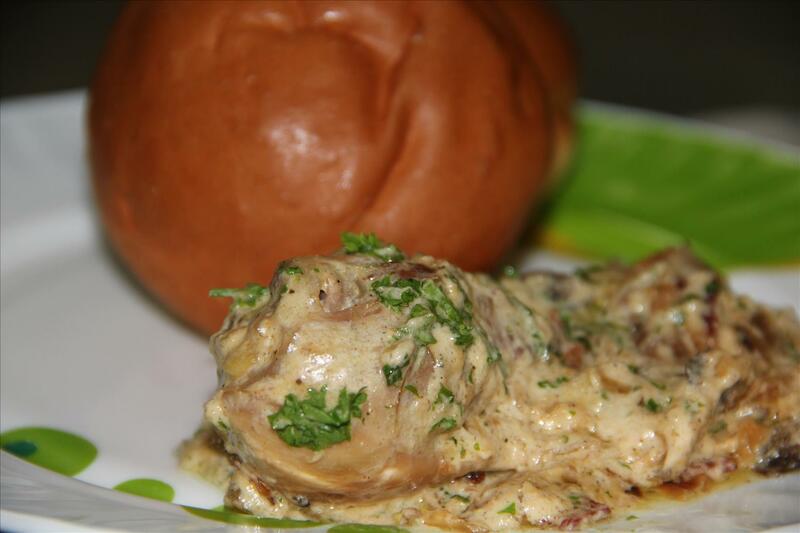 On a wet rainy day, when it was raining tipper tapper, the mood for having something hot & delicious set in. It was such a day, when I only wanted to laze around and take in the smell of the wet earthy ground. But yes, the hunger pangs had to be satiated. Browsing through my movie list – my eyes fell upon ‘Julie & Julia’ (one of my most favored movie and yes if you watch it – I can bet you will fall in love with cooking too), I decided to try out some French cuisine. The French use fewer spices and more herbs and the dishes are creamy garlicky. Ah, perfect for the day! So coming to it, adapted from Nigel Slater’s famous recipe – It’s a simple, savory, delicious and satisfying finger- licking French meal, it is absolutely hassle free and the entire meal in prepared within less than an hour. 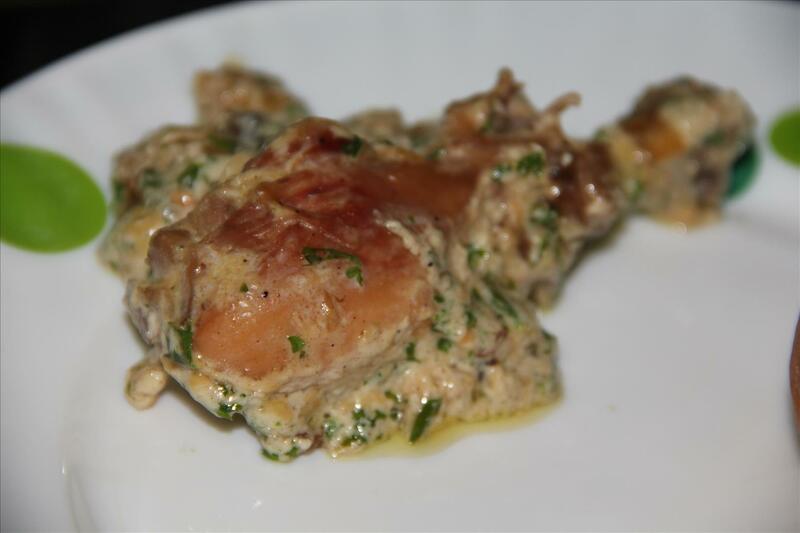 The word Coq in French means rooster, the recipe calls for use of chicken simmered along with vegetables, wine, herbs and cream. Refined flour – 1 tbsp. P.S. 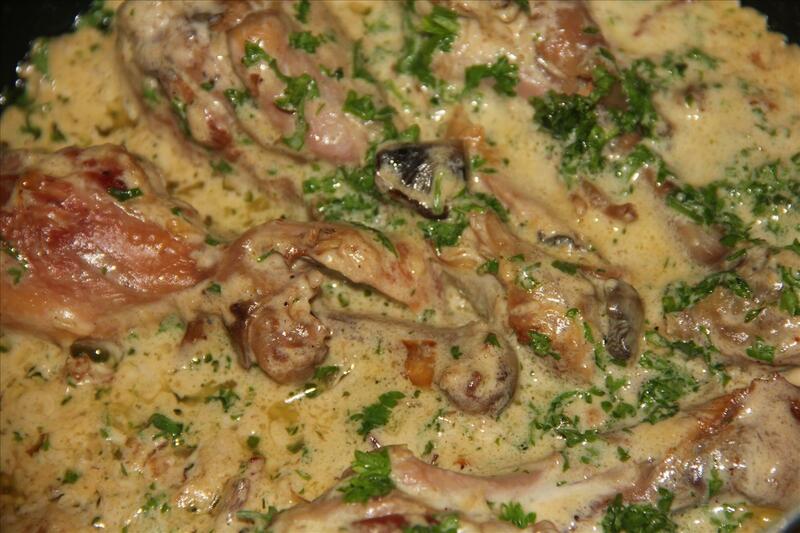 – More vegetables like carrots and leeks can also be used along-with mushroom. Put a heavy bottomed pan over flame; add some butter and olive oil to heat. 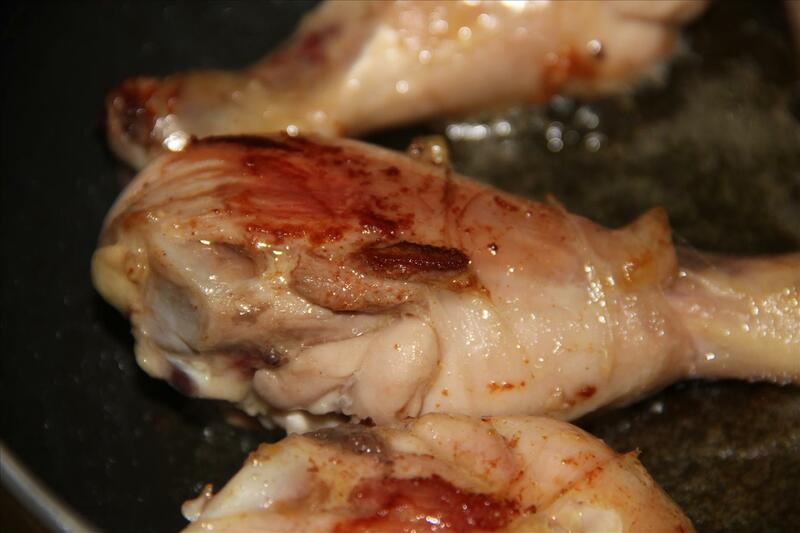 Once the oil and butter are warm add the chicken pieces onto it. Fry the chicken pieces on each side cooking on a low flame till they are perfectly browned (golden) and cooked a little bit. Take the chicken pieces out of the pan and put aside. 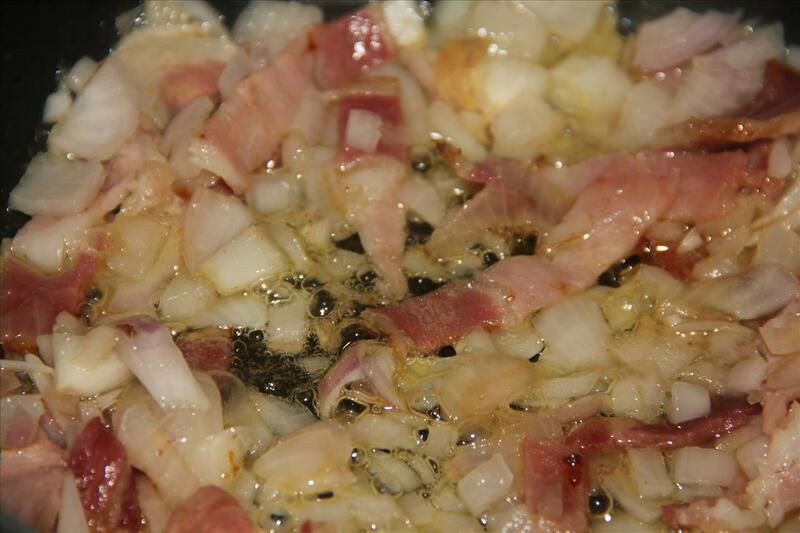 Into the same oil add chopped garlic, onion and bacon strips. Fry till the onions turn translucent and the bacons cook completely. Remove from pan and keep aside. 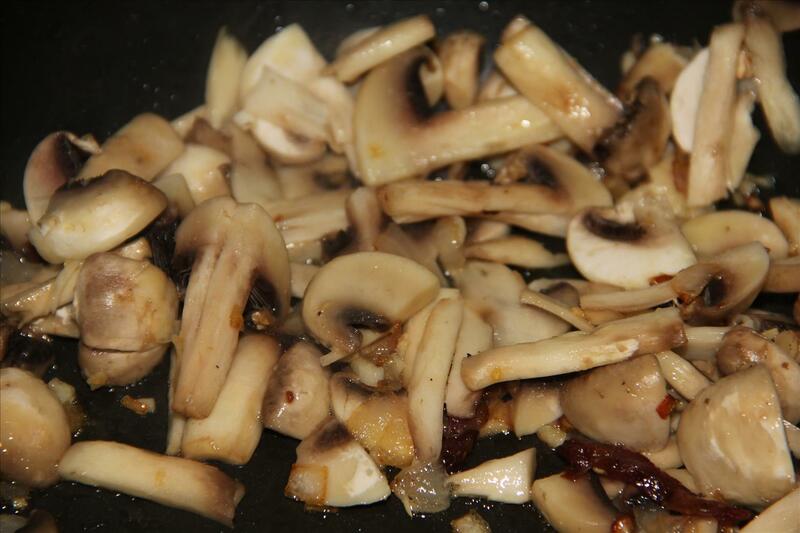 Now fry the mushrooms in the same oil till they are soft and cooked. 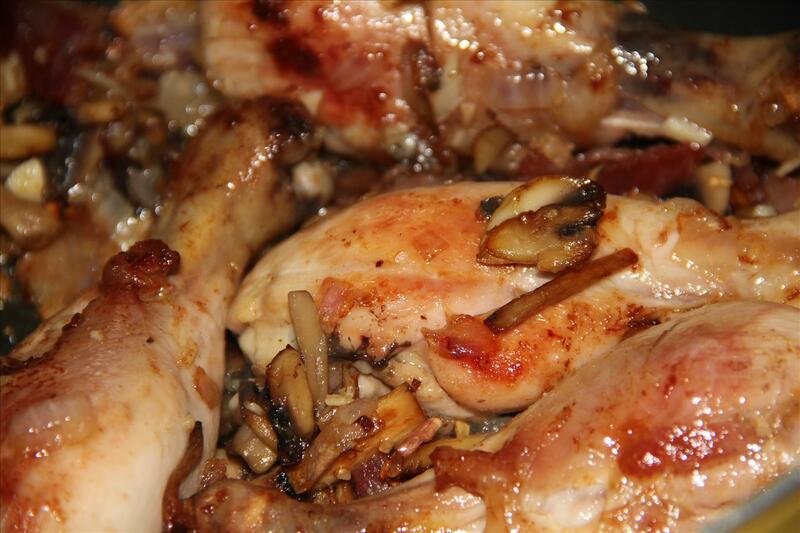 Add back the garlic, onion and bacon mixture along with the chicken pieces to the pan with the mushrooms. 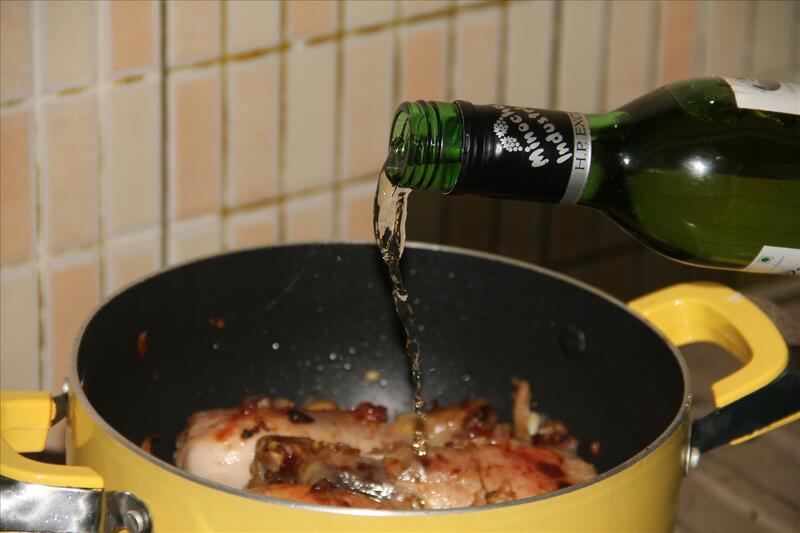 Cook for a few minutes and add the white wine (can add more according to your taste) into it. 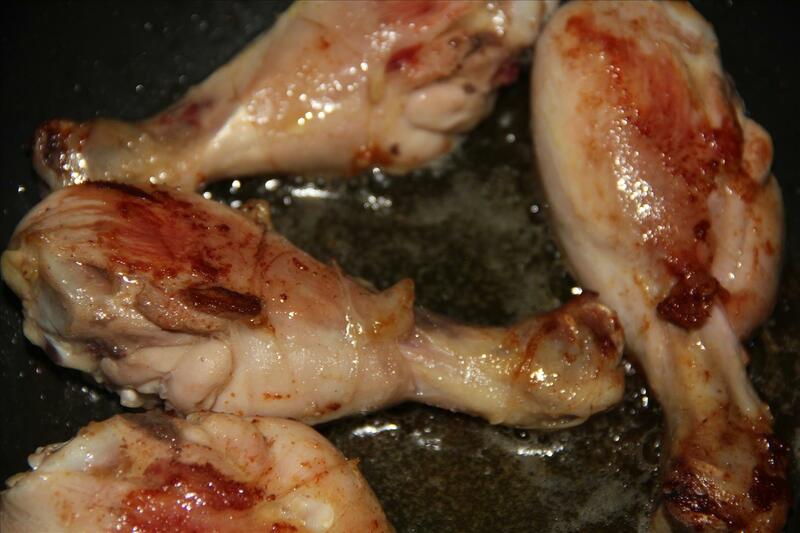 Bring to a boil, cover and cook till the chicken is done (about 20-25 min.). In a different pan, heat little bit of butter, turn down the heat and add flour. Stir for a while and then stir in chicken stock, milk and cream keeping the flame on low. Simmer till the sauce is little thickened. 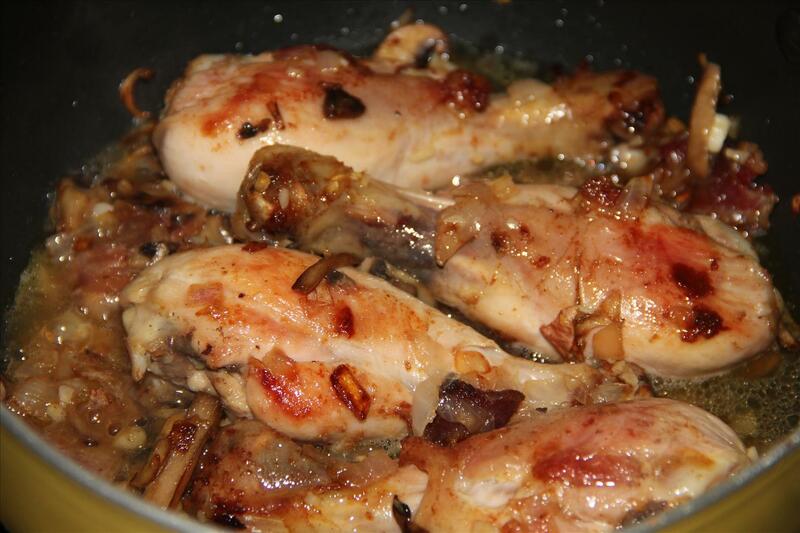 Once the chicken is done, whisk in the prepared sauce (in above step) to the chicken and simmer for a while. You can add a little amount of water if you want the gravy to be a little thinner. Season to taste, add the nut-meg powder, thyme, two pinches of pepper (I like pepper in my gravy) and handful of fresh chopped parsley. 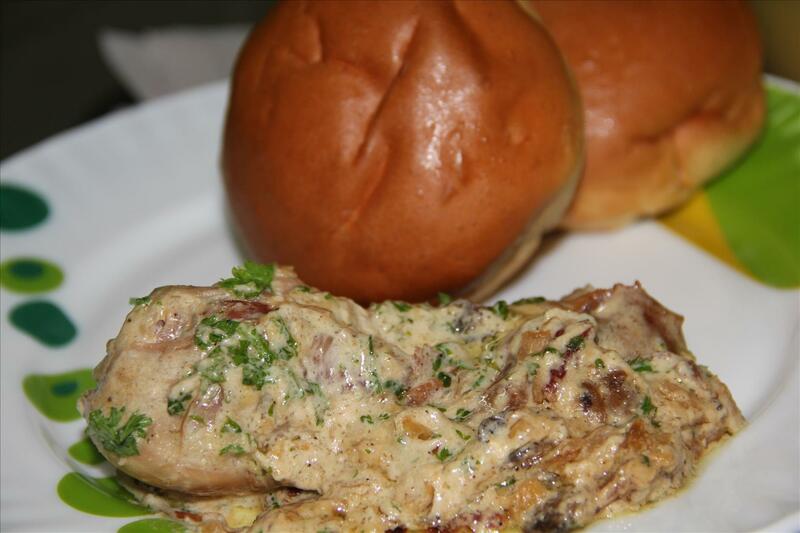 Happy Eating…I assure the dish will leave you wanting for more! Ohmygoodness… this looks SO GOOD! Yum this looks delicious I will have to make this asap!